You were robbed, and a thief has your phone. Remote Lock: After your phone has been taken, this app allows you to create a four-digit PIN that, when sent to your phone from another cellular phone or a web page, locks down your phone. This capability is above and beyond the protection you get from your Screen Lock, and prevents further access to applications, phone, and data. If you know that your phone was stolen — that is, not just lost — do not try to track down the thief yourself. Get the police involved and let them know that you have this service on your phone — and that you know where your phone is. You are a very important executive or international spy. You stored important plans on your phone, and you have reason to believe that the “other side” has stolen your phone to acquire your secrets. Remote Erase: Also known as Remote Wipe, this option resets the phone to its factory settings, wiping out all the information and settings on your phone. You can’t add Remote Erase after you’ve lost your phone. You must sign up for this kind of service beforehand. It’s not possible to remotely download the application to your phone. You need to have your phone in hand when you download and install either a lock app or a wipe app. 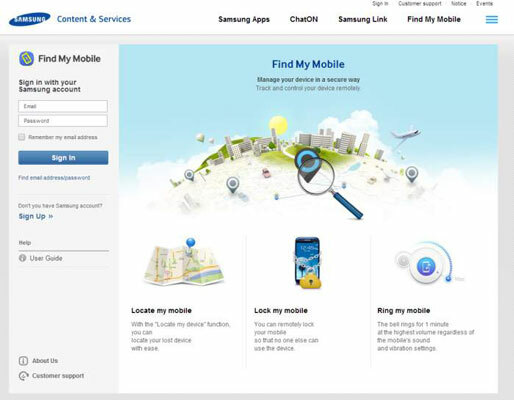 The good news is that you already have the application you need to do just this, the Samsung account. You’ll need a user ID, such as your Gmail account, and a password. Doing so lets you get these capabilities for free, and you cannot beat free. Just go to the Security settings and tap the Remote Controls hyperlink. This registers you to control your phone remotely. 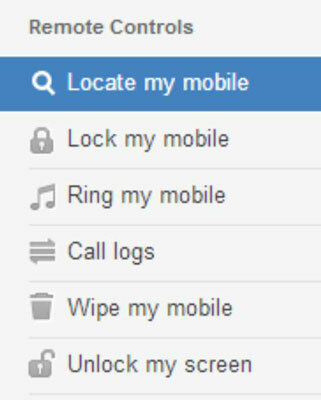 From any PC with a browser, you now have access to the Find my Mobile site. Once you sign in, a number of useful options become available. Use them as you will.